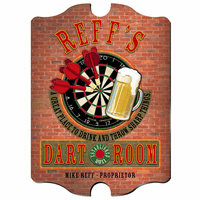 FEATURES/SPECS Let everyone that enters your man cave know that they are in for a night of gambling and billiards, the finest whiskey around and the strongest ales and tales they've seen. 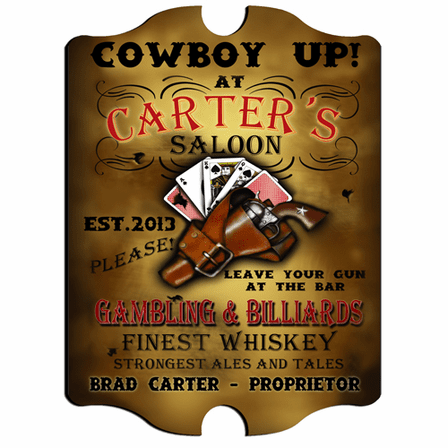 They'll also need to leave their guns at the bar. 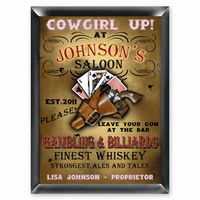 This personalized Old West style vintage bar sign has all of this information printed in wanted poster style artwork. 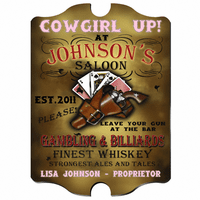 It also has a holstered gun and the words Cowboy Up printed across the top. 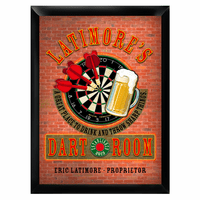 Add your name as the proprietor and you've turned your man cave into an old west style saloon.